The Palestinian Center for Human Rights (PCHR) is deeply concerned over the repercussions of the sanctions imposed by the Palestinian Authority (PA) against the Gaza Strip population for 2 years on the economic and social conditions and service sectors in the Gaza Strip. PCHR believes that impact of these sanctions affected the health and education sectors in the Gaza Strip, not only constituting a violation of international human rights conventions and Palestinian laws, but they also have catastrophic consequences on the health and education services provided to the Gaza Strip population that are already deteriorated by the Israeli closure and ongoing political division for 12 years. 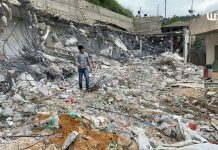 PCHR believes that these actions indicate PA’s abandonment of its legal and administrative responsibilities and obligations towards the Gaza Strip population. Calls upon the Palestinian President to issue an immediate decision to end all the arbitrary measures against the PA employees in the Gaza Strip, including the health and education sector’s employees, abolish the decision of ceasing their salaries and find ways that contribute to achieving job security and protecting the employees and their families from the deteriorating economic and social conditions. Calls upon the Palestinian Government to extricate the health and education sectors from the political bickering, respect the Palestinian law, end all measures that lead to the deterioration of the humanitarian conditions and to fulfill its legal and administrative obligations towards the Gaza Strip. Calls upon the PA to respect its legal obligations upon Palestinian’s accession to the International Covenant on Economic and Social rights in 2014, especially respecting and protecting he right of everyone to the opportunity to gain his living by work which he freely chooses or accepts, and also the International Covenant on the Civil and Political Rights, especially every person’s right to have access to public service in his country.